-Tony Kiss, the Asheville Citizen-Times beer guy, says once again that Deschutes Brewery will be a “game-changer” wherever it chooses to open its East Coast brewery, whether it’s Asheville, Roanoke, Charleston or any of the other 30-plus sites it has scouted. -Warren Haynes canceled West Coast tour dates on Friday, citing a “family emergency,” reports jambands.com. -The Honeycutters, one of Asheville’s hottest bands, debuted a new music video for their tune Jukebox. The video was shot at The Town Pump in Black Mountain. (Karen Wells, the executive director of a Raleigh-based arts advocacy group), said that in Asheville’s art sector, that leader is missing. -Three new Asheville City Council members will be sworn in on Tuesday. Julie Mayfield, Brian Haynes and Keith Young won in the November election and will take their seats beside Mayor Esther Manheimer and Councilmembers Cecil Bothwell, Gordon Smith and Gwen Wisler. 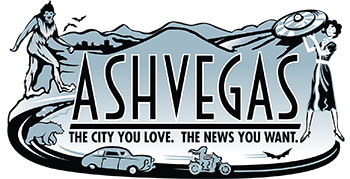 -Keep tabs on the city of Asheville’s requests for bids and proposals here. In 1909, Grove commissioned Chauncey Beadle, then nurseryman at the Biltmore Estate, to design a landscape plan for the park. Beadle had been hired by landscape architect Frederick Law Olmsted to oversee the nursery at Biltmore, and he remained there for more than 60 years. The park’s design reflects the naturalistic style of landscaping inspired by Olmsted. 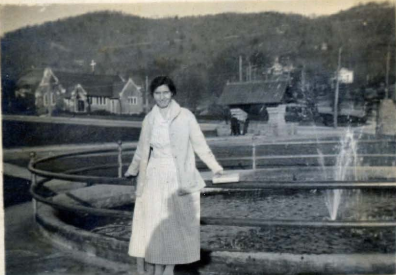 Originally, the park featured a fountain, which was decommissioned by the City of Asheville in the 1960s and replaced by a circular flower bed. Attached are several photos, including one showing the original fountain, circa 1930 and the other shows the fountain basin as it exists today. After more than one hundred years, the park no longer reflected Beadle’s original vision. In 2012, the GPSMNA embarked on a project to restore the neighborhood’s three historic parks, including the E.W. Grove Park. A Beautification Committee researched historical documents and developed a master plan to enhance the park. To implement the restoration plan, the GPSMNA entered into a multi-year partnership agreement with the City of Asheville – which owns the park – whereby the Association will manage and fund the restoration process, and the city will continue to provide the basic maintenance requirements and provide specific services as necessary. The final phase of restoring the E.W. Grove Park will be restoration of the fountain, an ambitious project that will require a major fund-raising campaign. The plans, drawings, specifications and cost estimates requested will be used to support the fund raising and subsequent construction of the fountain.